The Indiana Pacers have come to terms with All-Star forward Paul George on a five-year contract extension that guarantees him between $80 and $90 million, with a possibility for more if he should trip an "escalator clause" by making an All-NBA team or winning the MVP award next year. (I'm not saying that George is likely to win the MVP award. I'm just making a factual statement that that's one of two things that could potentially activate the escalator clause). The Pacers have already re-signed power forward David West and point guard George Hill this year, and center Roy Hibbert last offseason. Forward Danny Granger and shooting guard Lance Stephenson's contracts will expire after next season. I'm optimistic that Paul George will continue his improvement, potentially into one of the dominant names in the game. Roy Hibbert was a force of nature in the playoffs. Lance Stephenson was a wonderful surprise; George Hill's solid at the point. Danny Granger's a bit of a question mark, but if he can stay healthy, he could either bolster the starting lineup or be a wonderful sixth man. And the Pacers have improved their bench with Luis Scola and C.J. Watson. Hopefully, we've laid the groundwork to be a contending team for years to come. "I'm sorry, I'm not much of a hugger." Former WNBA player Margo Dydek, who led the league in blocked shots nine times, died Friday after being placed in a medically induced coma following a heart attack last week. 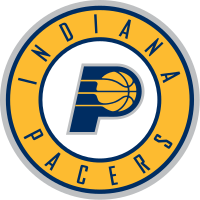 The W - Basketball - Paul George signs five-year contract extension with Pacers Register and log in to post!